The last thing you want is for us to be working with your competition. From media buying to creative, from production to online marketing, Network Affiliates is a “one stop shop.” When you join the NetAff family, you get a team of highly skilled and highly creative thinkers, all under one roof. We work together to provide each of our clients a customized marketing strategy that works. If you’re looking to understand more about what Network Affiliates can do for you, contact us today. Get Started. 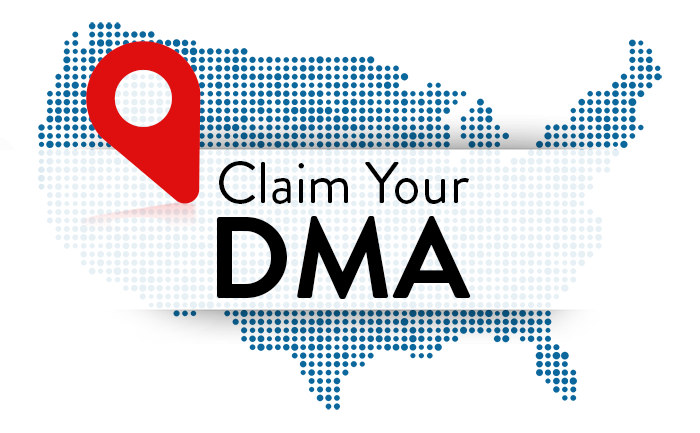 Claim Your DMA.